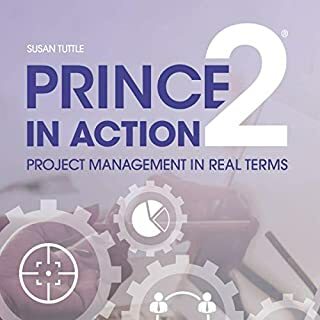 This step-by-step guide: Explains the principles of PRINCE2 in straightforward, manageable chunks, emphasizes how to apply PRINCE2 in practice, using real-life examples, was written by an experienced PRINCE2 practitioner and trainer, so you can be sure that the information is based upon approaches that work, gives clear explanations and practical illustrations in each section, explains how to effectively apply PRINCE2’s principles, themes and processes to your projects and other real-world scenarios, and much more. 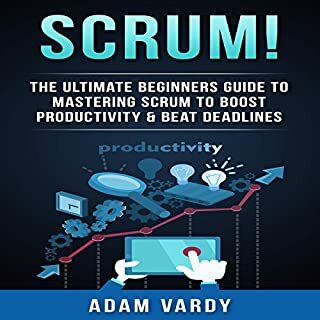 Good audio book but could do with a liberal scattering of real world examples of small and medium sized implementations. boring. hard to stay focused on it. ITIL For Beginners is useful for getting a very basic knowledge, but not much more than that. It is rather stilted in how it flows and is full of buzzwords. The introduction starts off in a promising manner, going through a bit of the history of why ITIL was developed and why it is needed. But this moves away from the "why" and into the "who" and "what" fairly quickly, talking about revision versions and which company did what. The "why" is useful for understanding ITIL, but the "what and what" is not. I assume it was in there as some sort of requirement by the developers of ITIL, because it doesn't actually serve much purpose beyond that. We then get some more good work with some examples of where ITIL could be used, basing it on a made up company PDC. This discusses how the fictional PDC could improve using ITIL. There are other examples such as email that provide real life explanation to the concept. 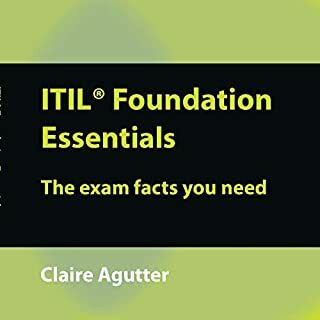 To understand how simple it is, at one point (while going through one of its many lists) it is giving descriptions of some of the 'titles' used in ITIL. One part actually reads "Number of new customers: This is the number of new customers using the service". Really? Because that wasn't obvious at all. The problem with lists is the there is no flow and remembering what is at the start of the list is difficult when there is no interaction and no context between what is in those lists. It just becomes a series of unconnected statements. I listened through it twice, once without the PDF companion and once with it. The second time I was hoping that more would stick and I would get some more depth out of it, but the PDF companion doesn't really add much. In fact all it is an excerpt of the item that are reads. Some of the lists, but not all of them so you can't even use if for a reference for the entirety of the audio. It ends with a case study talking about a real company who used ITIL and how it improved their service. But again, there is no interaction with the ITIL framework here explaining how their actions matched up. Plus it is at the end, once you have forgotten half the lists, meaning that what is provided has little context. The narration by Amy Barron Smolinski is fine. She is easy to listen to and understand and has a good flow. She just can't overcome the poor format of the book. What would have made ITIL for Beginners better? Honest and straight forward process of purchase after a customer pays for a product; the customer is not expecting games. it is a complete waste of time that I have to login to a site to get what I paid for. Would you ever listen to anything by ClydeBank Technology again? never buy any of their product again. nothing just disappear from this business. go sell used cars. I would not recommend this book to a friend. This book did not offer great detail about ITIL. The book did not even provide the full meaning of ITIL. Would you be willing to try another book from ClydeBank Technology? Why or why not? Yes. I have received other free books from ClydeBank and they were really good books. They offered good detailed insight and along with the PDF, very good knowledge. What aspect of Amy Barron Smolinski’s performance would you have changed? The inflection in her voice was good, her tone was good. No change needed. If you fall asleep easily or if you don’t like a machine reading to you then you will not like this book. Content is good but it’s nothing you couldn’t get from a fast google search or a YouTube video. 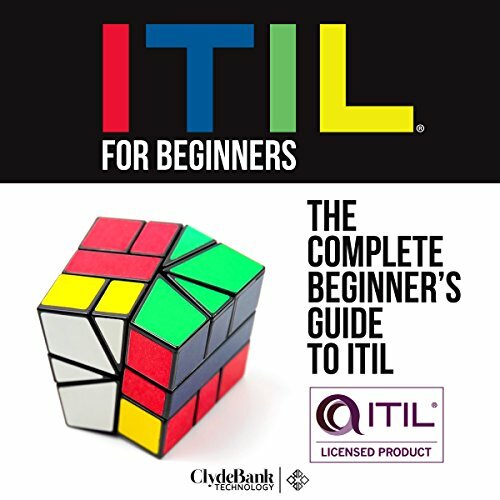 Where does ITIL for Beginners rank among all the audiobooks you’ve listened to so far? I have a Master Degree in Business and I'm always looking, researching and studying important topics that can help me in my improvement. One of my interests was to receive my ITIL (Information Technology Infrastructure Library) foundations certification. 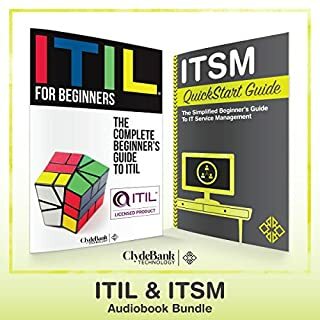 I listened to the "ITIL: For Beginners" audiobook version and it was easy to understand, very informative and an useful learning tool. 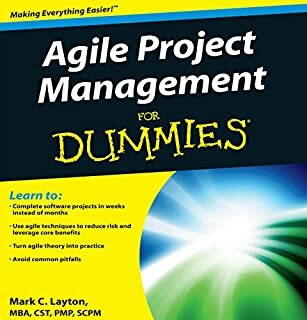 I have always found this practice very complicated but this audiobook is helping me now to understand the process related with ITIL. Now a days is so important learning about ITIL practices because are designed to help companies identify areas where they need improvement, providing guidelines and methods on where to make specific changes to reduce costs and increase productivity. Without this knowledge you can not position your business to success. 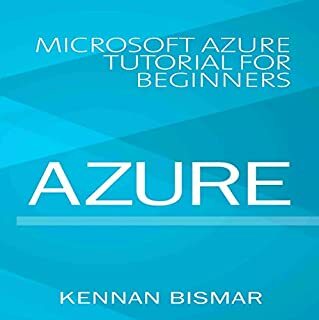 I believe this book is an excellent study guide for people who do not have time, like me, to complete a course and need to study at their own pace. 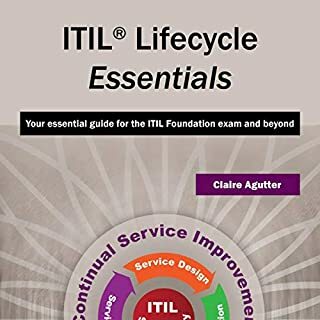 It covers all the topics you need to know about ITIL and is a good resource for the ones who need to be prepare for the exam. 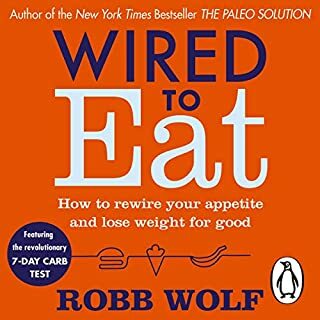 I received this complimentary audiobook in exchange for my honest and unbiased opinion and I highly recommend it! I have worked in Enterprise IT for ten years. I can now say that I comprehend how and why it all has worked so well. I have supported and taught ITIL concepts due to having slowly ingested them as standard business practices from many talented mentors. 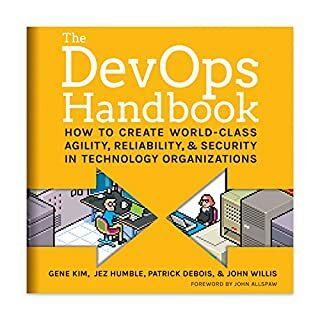 I would recommend this book to a friend, especially to someone who works in IT, or who works with other people who work in IT. It helps understand the process of ITIL as well as its significance. Yes! I have listened already to a number of guides from ClydeBank, and I have not yet been disappointed. What does Amy Barron Smolinski bring to the story that you wouldn’t experience if you just read the book? Amy is not my favorite reader of these ClydeBank guides. I far prefer Peter Biermont. 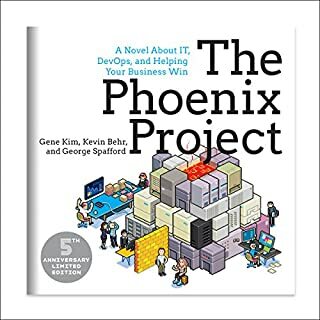 I went into this with a bit of trepidation because of the expected technicality of ITIL, but I’m pleased to say it was quite easy to understand and follow. 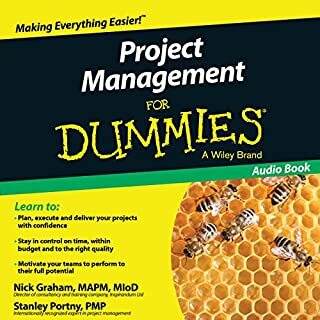 This audiobook will definitely be useful for those who want to spot areas within companies that need help. 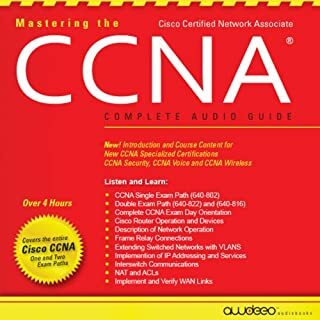 This audiobook provides a comprehensive overview with the information needed and provides guidelines for making identified changes that will bring about cost reduction. I can’t imagine any business owner/leader not wanting the success that following these principles will facilitate. Easy reading. Good content. Good narration, as usual. Recommended.